Talal Derki is making a film in an area so dangerous, he and his wife must treat each departure as if it might be his last. After all, he explains, "I don 't know if I will be back." Such solemn regard is hard-earned. 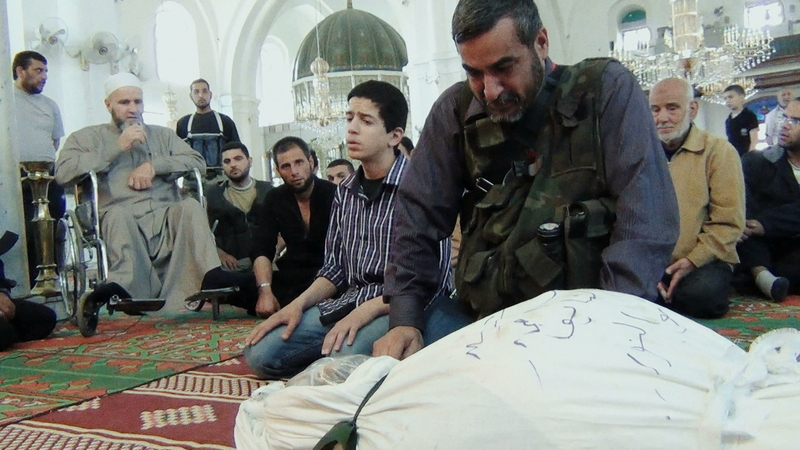 Derki 's current project follows a father and son who are both active Al Qaeda members. 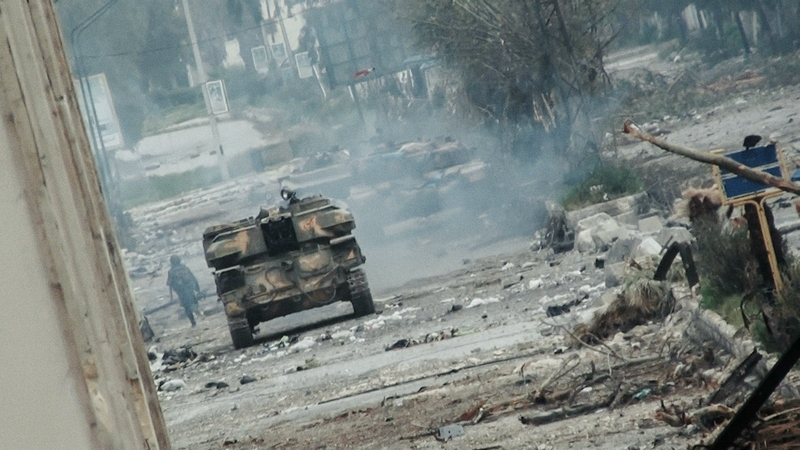 His 2014 Sundance Grand Jury Prize-winning Return to Homs was also set in a war zone, shot entirely on the front lines of the Syrian Civil War. High-risk projects have forced Derki to become an expert in working in hostile environments. Likewise, producer/cinematographer Singeli Agnew, an Emmy and Peabody Award-winning producer and Academy Award nominee, has worked in high-risk areas, like Taliban and ISIS territories. Her documentaries have been seen on Fault Lines, Independent Lens, Frontline/World, and an array of other outlets. Filmmakers like Derki and Agnew know that, while risk can 't be eliminated, it can be mitigated. That 's why the Center for Media and Social Impact issued Dangerous Documentaries: Reducing Risk when Telling Truth to Power back in 2015, a report that doubles as a free toolkit for documentary filmmakers. It frames the issues, identifies challenges, and offers advice around risk assessment, journalistic standards, safety/security measures and legal issues. Aligned with the report 's findings, both Derki and Agnew emphasize the importance of preparation, safety and outside help when working in hostile environments. The Dangerous Documentaries report recommends "paying close attention to security in communication" and needing to "protect the information itself." It also offers a list of expert recommendations, like taking conflict-zone and harsh-environment trainings, learning basic encryption software and techniques, and using mirror drives when backing up computer files. It also includes links to excellent primers on journalistic rights and responsibilities. Derki emphasizes the importance of using a local intermediary and relying on a capable producer, especially if you 're filming in an unfamiliar place. "If you want to travel to an unknown area and you want to film them—let 's say an Islamic region—you need a guide who can really trust and spend enough time with you, learning from you and be really close to you and be your shadow. "It 's always my advice," Derki continues. "If you don 't have a producer who really understands the topic and all the risk and all the progress it needs for making this film, you should take more time before you start." For Agnew, preparation means strategic thinking. "I always go through this thought process of, OK, what is the worst case scenario here? What is the list of things that could happen? So I have this little run-through I do: OK, if this happens, then this. If this happens, then that. There's sort of like a daisy chain of worst case scenarios that I try to plan for." At the location, ensuring the safety of the filmmakers, subjects, equipment and footage becomes the priority. Agnew offers a respectful rule of thumb: "Whenever you're in a team, you need to defer to the person who's least comfortable. Everyone on the team needs to be on board with making a movie, and if someone isn't comfortable, it shouldn 't be a situation where they're pressured to do something they don't want. I think once you commit to a team, you have to commit to everyone being safe." Sometimes, Agnew acknowledges, prioritizing safety may protract the process. "We were just trying to meet with a former ISIS fighter who's a fugitive of ISIS," she explains. "We worked with a Tunisian journalist," and, because ISIS would jail the fighter if located, Agnew had to prioritize his anonymity, changing locations several times, and ultimately not meeting with him due to security concerns. Safety is not a corner Agnew will cut. "We had to protect ourselves legally every step of the way that we weren't doing something that was going to put us in legal or physical danger," she notes. "Definitely, we had a connection with a journalist who'd worked with [the ISIS fighter] before. We had some measure of safety through him, but it was a very complex situation because this is someone I didn't trust. A lot of things could've happened at any step of the way." She adds that her priorities remained "protecting his interaction with us, protecting us legally and physically, and making sure that none of this was surveilled. "So often," Agnew continues, "it's working through an intermediary to protect myself and that person. If there is a plan in place that would be dangerous for other people to know, just really trying to keep information close to your chest. Yet you always want to have someone who knows where you are, if there's kidnapping danger especially." "It's this combination of keeping the plan very discreet and not many people know but also having someone who always knows what the movements are," Agnew explains. "And I've been lucky to have worked for companies where there is that kind of infrastructure. Even as independents, you have to create that. It's no different. There should be the morning check-in, the evening check-in when you leave somewhere dangerous. You let someone know when you plan to be at the next stop and that there is a very precise plan in place in that regard." Agnew knows journalists who will go to any length to get access to a story, including handing themselves over to "smugglers, basically." But it 's not something she recommends. "You can secure it on the Turkish side, and you can secure it on the Syrian side, but there was this in-between zone where you're in someone's hands, and you're very vulnerable. And anything can happen. Navigating those sort of limbo legal spaces between—and especially in stateless zones, thinking about whose hands you're in is the first key piece." Derki also relied on an intermediary: his cameraman. 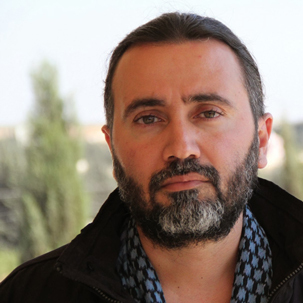 To gain access to the Al Qaeda family, Derki had to study their religion and culture, which happened to be the cameraman 's native religion and culture. The familiarity made the filming easier, too. "He was already a kind of religious guy, so it was easier with him to be in this atmosphere with the family, with the characters," Derki points out. Derki 's infiltration required a cover story. 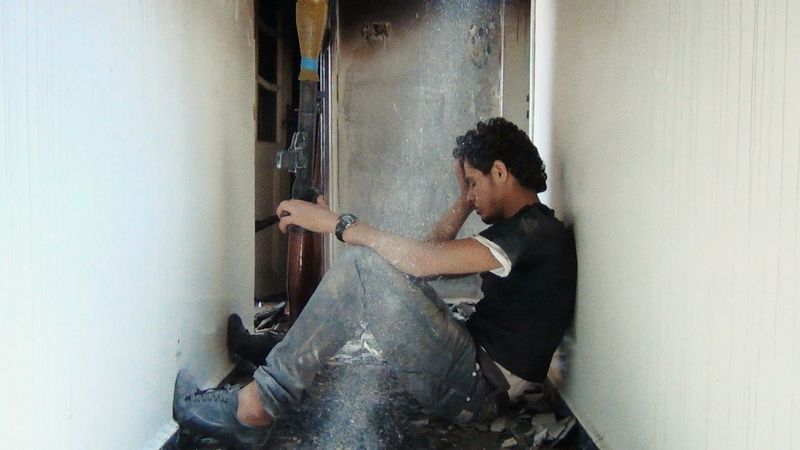 "I tried to convince [Al Qaeda] that we were war cameramen and we wanted to make a film to change the idea about them. I always tried to say that I financed this project by my own. Sometimes I said I have Turkish TV in my back and they trust the Turkish government. So that made things more easy." Both Derki and Agnew pointed to a tool that anyone can acquire but is essential for all filmmakers: patience. Rushing the process, Agnew suggests, does not behoove the filmmaker. "We're always working under the pressure of deadlines, of delivery, whether it's a grant-maker or an editor," she says. "The pressures are coming at us to get this done, to get it in the can, whatever it is. Going slow and thinking things through; having the confidence to make sure the plan is solid; and having the confidence to ask for and take the time for due diligence with a lawyer: I think those are the key elements." Derki 's current film project required him to "sometimes spend one week without filming any shots," with all the time spent on building relationships with the subjects, a father and son who are Al Qaeda members. In fact, it took him "more than a year of filming" before "something started to happen" in terms of the film 's story. Such deliberate pacing might intimidate a less patient filmmaker. It is a skill that pays in access and trust, which is ultimately part of the filmmaker 's gift to the audience. Derki reminds us why the need for documentary persists, and why some stories must be told, as opposed to experiencing the issues only as news stories. "People believe in the human experience more than information," he asserts. "If you just give them information, it doesn 't mean anything. But to really understand how everyone deals with new conditions every day, you can find yourself in some way like him in his position, and you start to think, What would I do if this happens? Would I do the same or would I have a different choice?" I 'll march ahead with a heart of iron. My stubborn heart has made its decision"
He sings about an imminent battle in his country 's civil war, but the lyrics could apply to documentary filmmakers who expose important public issues. They, too, display stubborn commitment and, with hearts of iron, find a way to march ahead, employing film to nudge society toward greater clarity, empathy and solidarity. Suz Curtis is a screenwriter who lives in Los Angeles with her Chihuahua, Choochie. She recently received an MFA in Screenwriting from UCLA.